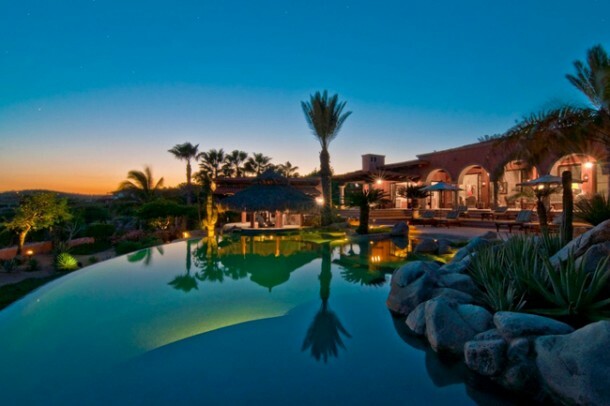 Considered one of the finest homes in Los Cabos, Villa Vista Ballena is a masterpiece of hacienda-style architecture nestled in a spectacular beachfront location alongside the 17th & 18th holes of the world famous Jack Nicklaus-designed Ocean Course at Cabo del Sol. 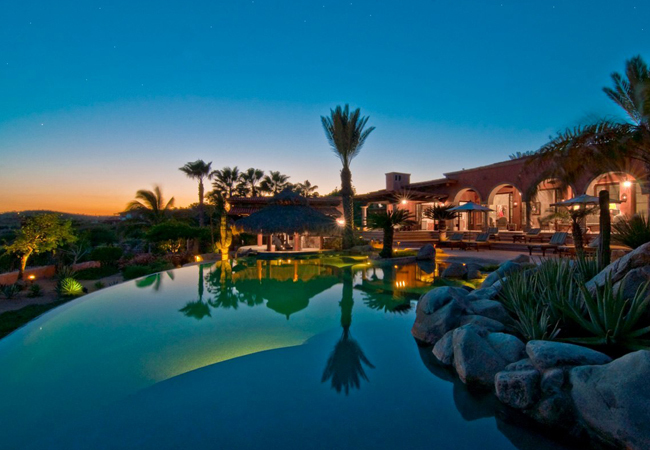 Immediately overlooking the serene Sea of Cortez, this stunning villa offers an extensive array of luxurious amenities. 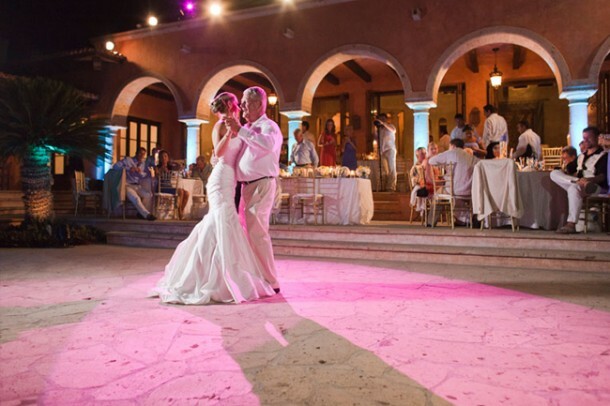 Perfect for special events – whether an unforgettable family vacation getaway or a lavish ocean view wedding reception – Villa Vista Ballena exudes a warm, welcoming ambiance of refined elegance. Inside, you’ll find an impressive attention to detail, décor and quality craftsmanship. This beautiful villa boasts dramatic wood-beamed ceilings, comfortably elegant furnishings, tile details and plush suites. The gourmet kitchen offers top-of-the-line commercial-quality appliances. 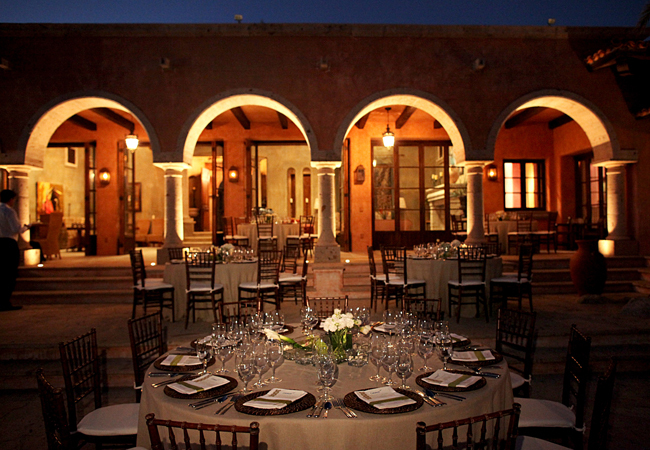 The formal dining area seats up to 12, and a second dining area seats up to 8 guests in the attractive wine cellar. You and your guests will also enjoy the grand salon with its impressive fireplace, a games room with billiard table, and the home’s robust entertainment system. 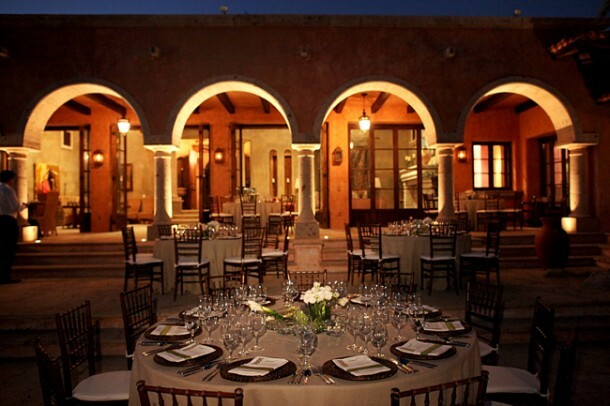 NOTE: Villa Vista Ballena can accommodate weddings, parties, and events of up to 100 guests (seated) and 150 (standing).